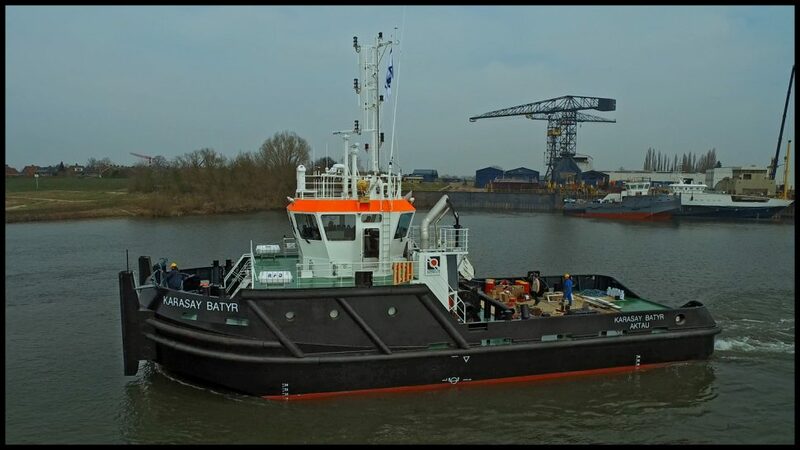 Tolkamer, 9/4/2018 – Today at 12 PM the second ASD tugboat for Caspian Offshore Constructions (our yard number 482) has departed from the Lobith yard. Tomorrow the vessel shall start its trial program. 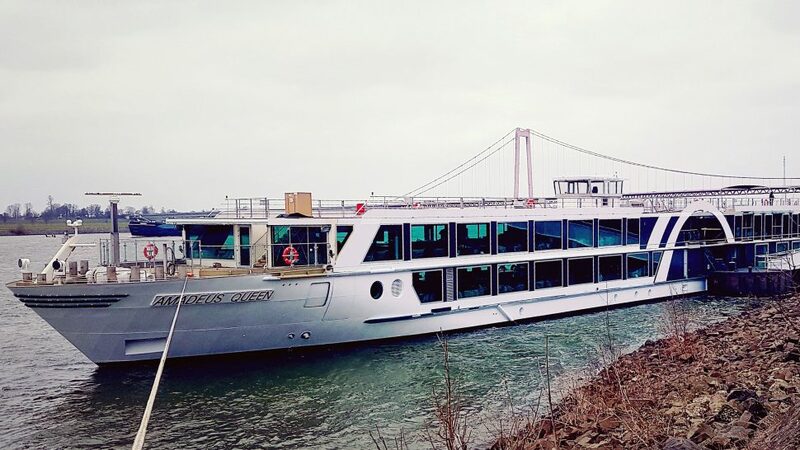 Emmerich, 23/3/2018 – Today, at 13pm the delivery to place of the latest addition to the Lueftner Cruises fleet, the Amadeus Queen. In the next days the ship will be made ready for the Christening Ceremony which will take place on the 4th April in Amsterdam. 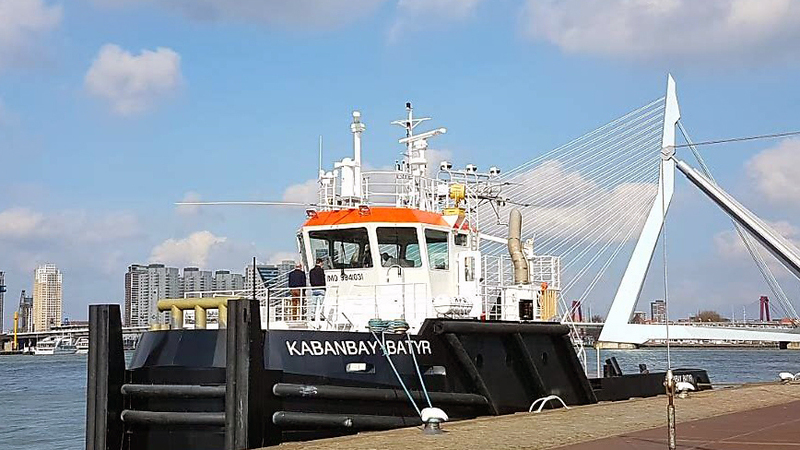 Rotterdam, 19/3/2018 – Today at 15hr the ‘Kabanbay Batyr’, our yard number 481, was delivered to Caspian Offshore Constructions from Kazakhstan. This first of a series of four newly designed ASD tugs (with 40 tons bollard pull), shall depart in the next weeks to commence her works in the Caspian Sea. 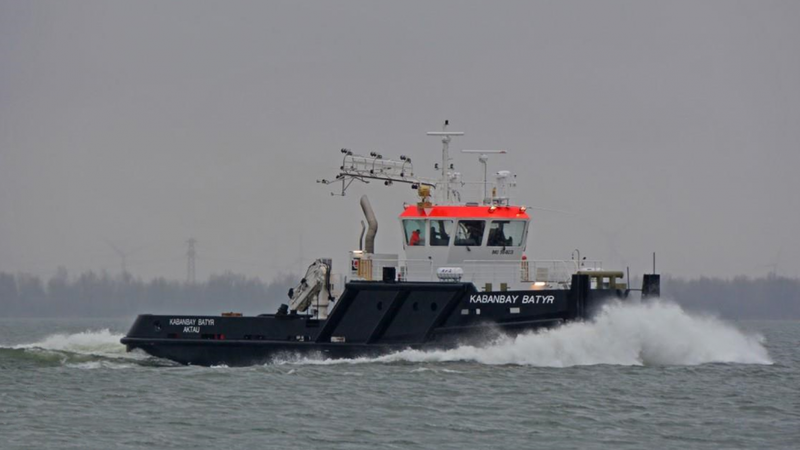 Rotterdam, 15/03/2018 – The first ASD tug for COC, our yard number 481, has shown great performance at her (sea-) trials. The performance criteria were met with a good margin and the vessel turns out to be a comfortable and quiet ship. In the next days, the final finishing touches will be applied and then this first of the series of four ASD tugs is ready for delivery. 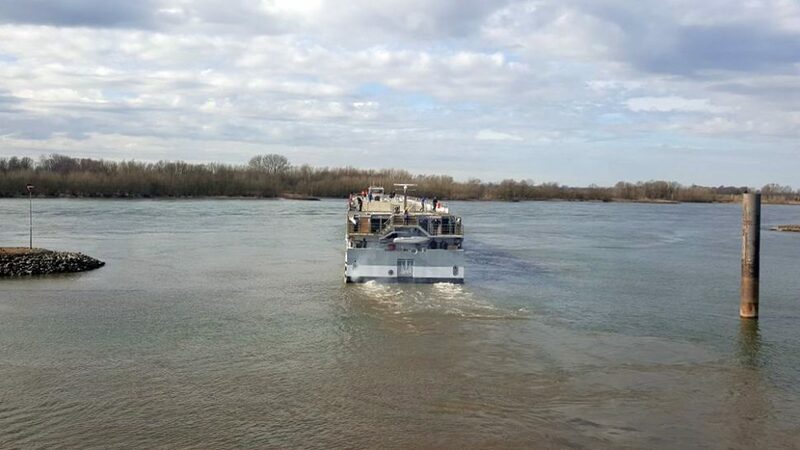 Tolkamer, 12/3/2018 – Around 14 pm today, the 135 meter river cruise vessel ‘Amadeus Queen’ performed her river trials with success. This vessel, our yard number 487, is the latest addition to the Amadeus fleet from Lueftner Cruises. Each new Amadeus vessel has made a step towards the future and the Amadeus Queen also is a special edition, as again many innovations and new features have been implemented in this design. Both the lay-out and design where further optimised and also from a technical point of view, new steps were taken to ensure a higher level of comfort on-board. 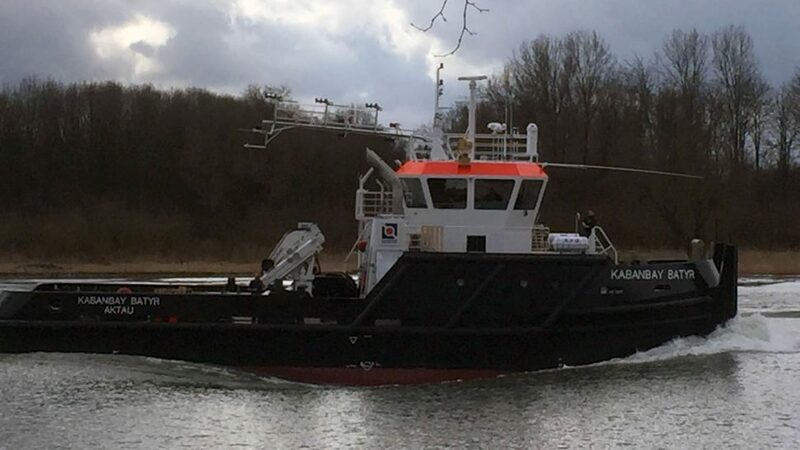 Tolkamer, 12/3/2018 – In the early morning, 6 AM today, the first tug of the new ASD design sailed away from the Lobith-yard. The ship went on its way Rotterdam, where she shall perform her sea trials and other relevant tests, such as the bollard pull test. This brand new design is built to special wishes and requirements, now she has to proof herself. In the meantime the second ASD tug is in an advanced stage of construction already. Tolkamer, 10/3/2018 – This morning, yard number 483 was launched. With this, all four hulls for the ASD tugboat-design for Caspian Offshore Constructions are now in the water. Prior to the launching of this hull, there was a special transport, supported by ‘Sarens’ of this 300 ton weighing hull. This was related to the extremely high water at the beginning of the year. When the Lobith slipways where threatened to be flooded, the yard decided to continue the assemble of the hull on higher grounds. 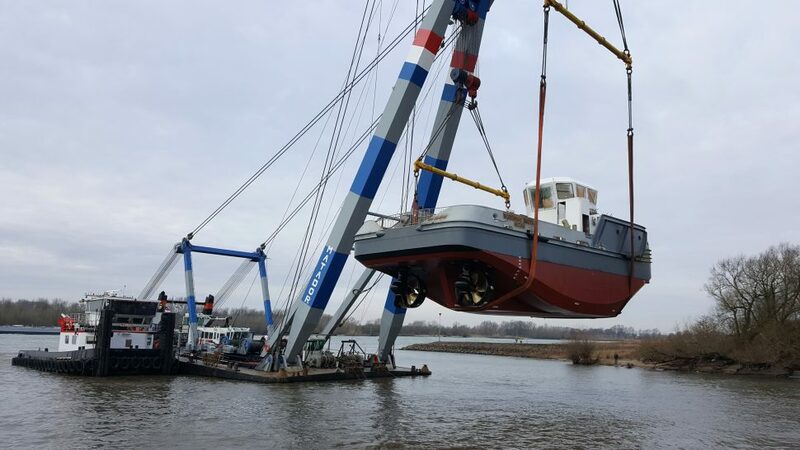 With special section lorries, the hull for yard number 438 was lowered to the slipway doors and hoisted over with a large floating crane, quite a logistic operation, but it was successful. Now all four ASD-design hulls for COC are in the water and nearing the final stages of their build & finishing. Foxhol, 4/3/2018 – On the Foxhol yard, the two harbour tugboats for C.O.C. (Caspian Offshore Constructions) are really taking shape now. 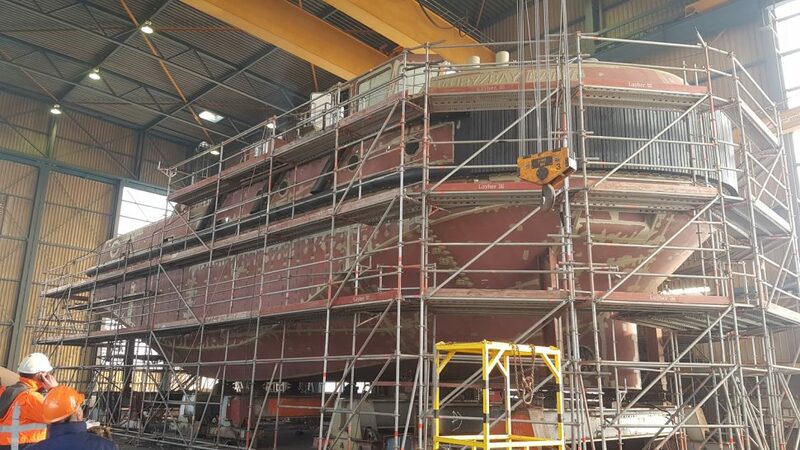 Both hulls are fully assembled and outfitting works are starting, even the main engines have already been placed. Here the hulls will be finished inside the halls as much as possible, before they are launched. Both are scheduled for delivery before the end of May. 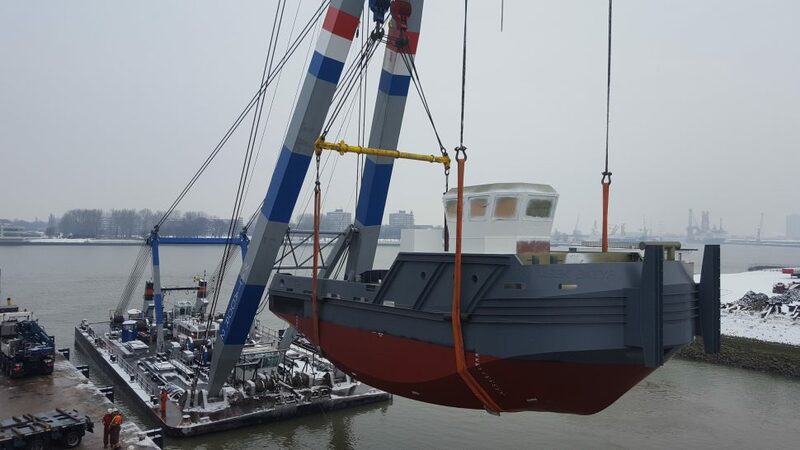 Rotterdam, 3/3/2018 – Today the third hull has been launched for C.O.C.. The hull was built in Rotterdam and towed to our Lobith yard where she will be finished. These are busy times in Lobith, as now in total there are 5 ships in the last stage of construction, 4 ASD tugs for C.O.C. and of course the 135 meter river cruise vessel Amadeus Queen. Tolkamer, 27/12/2017 – Today, at 13hr PM the hull for Amadeus Queen, our yard number 487 was successfully launched at our yard in Tolkamer. The delivery is scheduled for 1st quarter of next year.